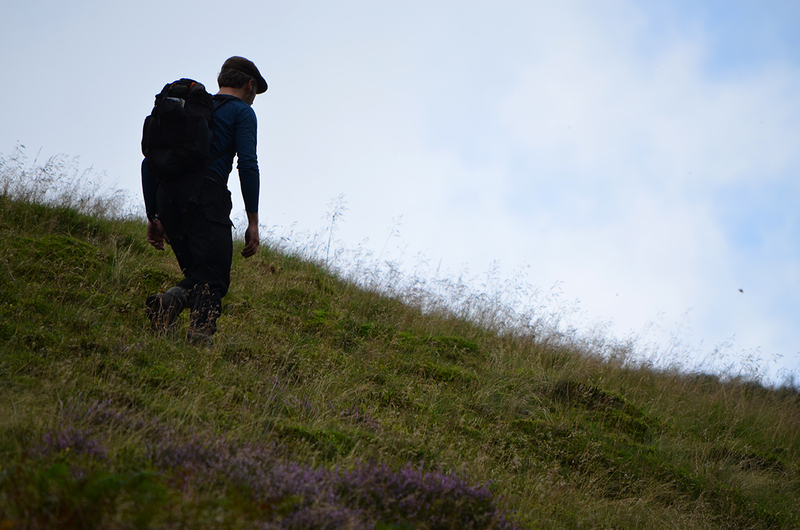 This summer welcomed the second Environmental Arts Festival Scotland – an international biennial of contemporary art practice in landscape – which for two months this summer absorbed me whole. 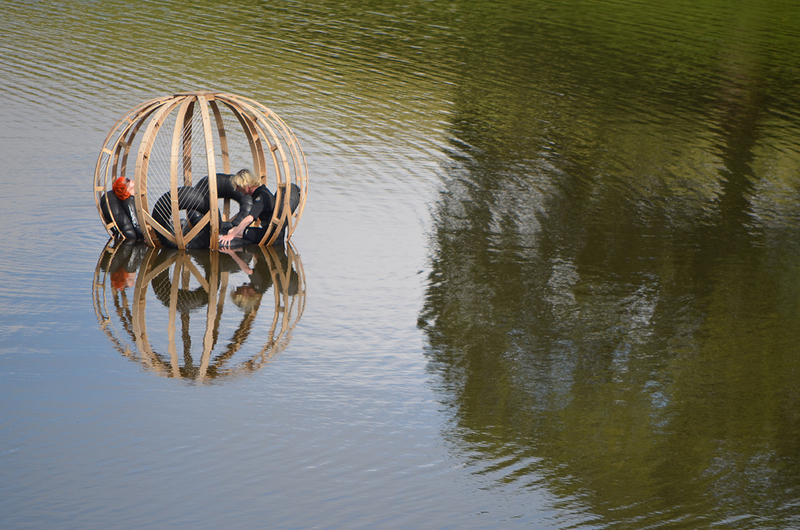 My last EAFS experience in 2013 (blog here) shook and rattled my perceptions on place-based art in all the right ways, and has been an important part in prodding my reflective process into the art practice that it is today. But moving on from the hectic, region trailing festival that was EAFS 2013, this year took a marked-ly different tack. Exploring themes of pilgrimage and journeying, hospitality and generosity and – my favourite – inventiveness and foolishness as a way of understanding the world (Have I reinvented that a little? 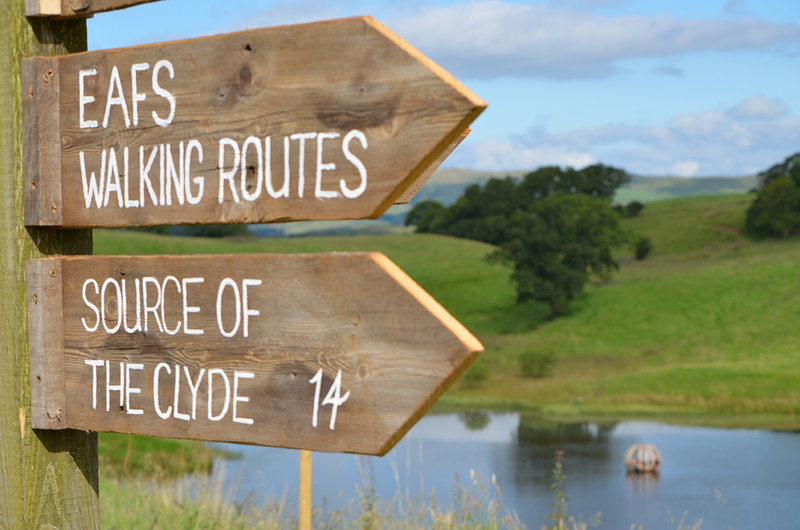 Perhaps it has grown from the original intention), EAFS Offgrid 2015 looked as a large scale collective artwork in which all parties became part-artist, an experiment in co-created community, temporary place making and exploration of landscape. One of the most persistant was in the meaning of ‘festival’ in the first place. Contemporary associations of festival – through the prolificy of large scale music and arts festival – put us the audience, in a passive state, consuming entertainment, resources and activity, these are free spaces for new experience and free partying; but everything is largely provided for us, from music and activity to food and water, the festival crowd is encouraged to participate by consuming. This seems mis-matched for our free spirited and independant festival idealism. The alternative? EAFS Offgrid, whereby attending a festival made you an active participant, a sense of generosity and hospitality grown by all involved encouraged an active bringing and sharing, from extra food to additional programmed content – some of the quoted favourite moments at EAFS were the ones we never even programmed. From this generosity grew an amazing atmosphere of a community, caring and growing itself and each other. 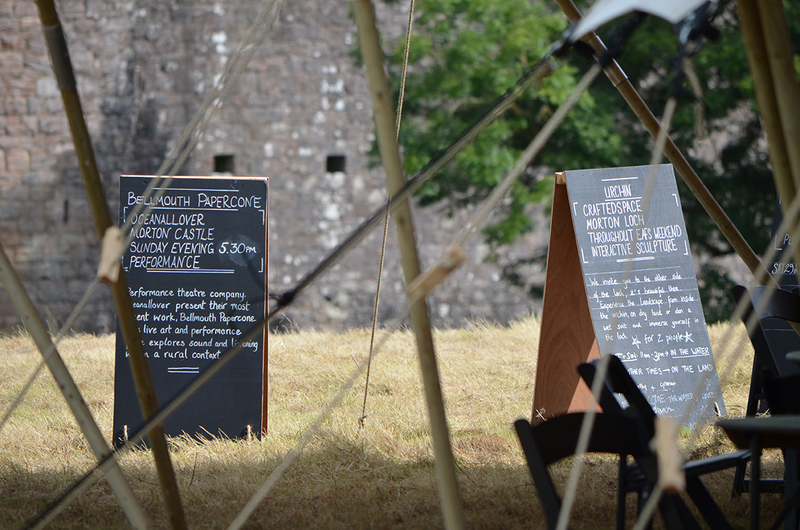 The EAFS team looked to create a space to be activated by others; in this way everyone had the opportunity to be a participating artist at EAFS – and in this collective making, everything from eating to sign-posting could be considered and created as part of the larger EAFS artwork. Who can claim ownership of EAFS? Creating a community or a place felt less concerned with ownership of artistic direction, and more to do with a growing sense of collective intent (count the number of uses of the word collective in this post). Interpreting and understanding of the festival was a big question in the run up to the festival; how could we encourage a sense of shared ownership to grow ‘open-source’ interpretation, conversation and development of EAFS’ themes and ideas? The core team (artists, interns, volunteers and management) became the knowledge ambassadors, pioneers of information sharing to spread throughout the festival over the course of the weekend, conversing over hand outs and newspapers. My own corner fell to signage as installation, signposting as artwork. The role of art/ist as a communicator may have been over-stepped in my new found blackboard and road sign obsession (sorry to any who crossed my path late one night with blackboards under torch-light) but allowed for an intense period of questioning, development and ultimately understanding. To the artwork itself, EAFS as an installation created a central festival village, an information hub and home for just over a week. Some of our visitors never left this safe haven of conversation, freshly cut field and idyllic viewpoints. 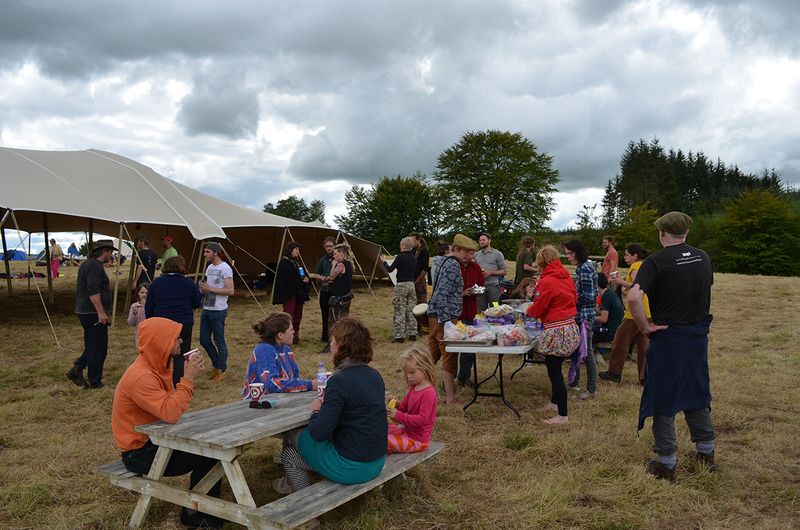 This was the cluster point, teams gathering before heading out, the return point for artists, performers and our four legged friends; all paths lead to Morton. 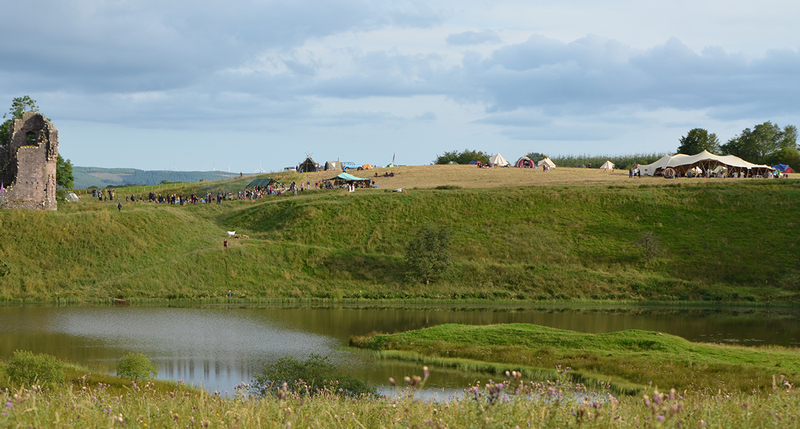 The landscape was our context, and growing out from the castle and festival village were walks into the unknown – opening up a vastness of purple heather, braken, running water and clear sky. These were the lands of EAFS. An early decision was taken for artworks to be minimal in their occupation of the landscape, long walks to distant locations or installation points yielded time for reflection, discovery and understanding of the place-context (nobody mention the partridges). The artworks themselves allowed for moments or glimpses into an artistic perspective – this was art as investigation, as questioning and framing. Art as walking, art as looking closer. Sitting high above the reservoir, hidden in heather – eating bleberries and listening to the rising sounds from the Art of Expeditions’s boat house. Gathered around Andy McAvoy’s Tea Caddy, passing around objects from George Wyllie’s studio box. Being entirely submerged in The Terrestrial Sea late on Saturday night. Late night conversations by the embers of the River of Fire. The festival was designed to be light on the earth, leaving without trace – there was an importance to the act/actions of leaving. Within 24 hours there was hardly a mark of our being, and it somehow felt right – sat on the last picnic bench in the fading sun. Landscape. Our land. The Lands of EAFS. All images my own. Huge thanks and love to Robbie, Matt, Jan, Debz and the super-cool EAFS team. This year I participated in EAFS as one of five interns supported by the (fabulous) Holywood Trust.